In the Jewish faith it is important to celebrate the life of loved ones to help carry on traditions, customs and rituals. NJMW.org provides services and products to perpetuate the life and legacy of friends, family and ancestors for future generations. Find time-honored Jewish traditions to help you celebrate the lives of loved ones! 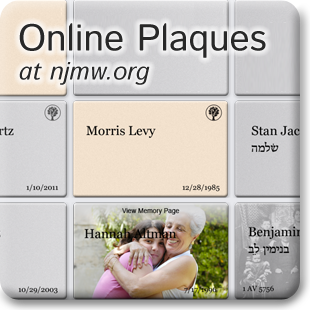 Add an Online Plaque at njmw.org. Bring your personal stories, experiences, and family memories to a single place online for sharing and meaningful exchanges with those you love. Learn more about the wall on NJMW.org. A Yahrzeit Reminder is an easy way to remember both the English and Hebrew Yahrzeit dates of your loved ones. You can also send free reminders to other family members and friends. 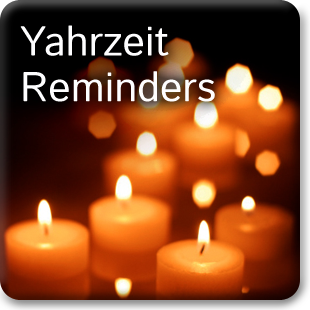 Sign up here to receive a free email yahrzeit reminder. 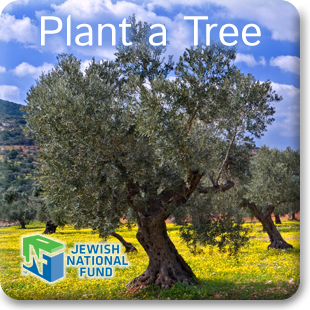 Planting a Tree in Israel 'in memory' of a loved one is a traditional way to honor the memory of your loved ones during Yahrzeit and Yizkor dates. Trees are planted for all occasions and holidays as well. It is a Jewish custom to light a special candle five times each year to commemorate loved ones. 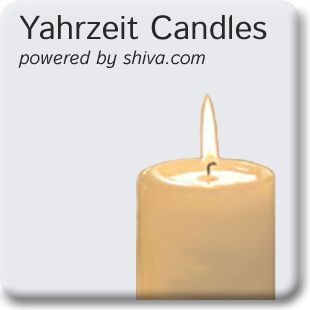 On the Yahrzeit and before four holidays (Yizkor dates), a candle is lit at sundown and will burn for a full 24 hours before extinguishing itself. The act of placing a stone by the graveside of the departed is an age-old Jewish tradition that pays appropriate homage to the concrete loss of a loved one. 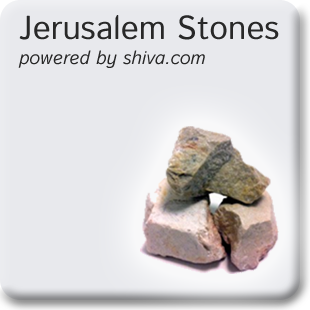 By placing a small piece of Israel aside the burial place when visiting the cemetery a deep spiritual and physical connection to the land of Israel can be made. National Jewish Memorial Wall (NJMW.org) extends the traditions of etching names of loved ones on a physical wall using modern means to bridge and connect all generations.